Unplaced in four rides in his Singapore debut last Friday, Perth jockey Joseph Azzopardi did not have to wait long for his first Kranji win. His Singapore take-off came courtesy of DRONE who beat the four-time winner LIM'S KNIGHT by half a length in the Class 4, Div 3 - 1200m handicap on the polytrack. 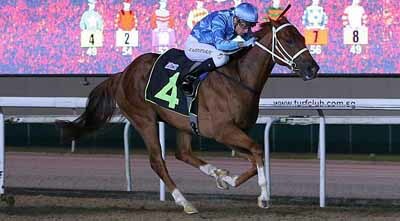 The Golden Archer gelding was having his second outing this season after winning twice in eight starts last year. "Once he could cross, I was very confident, and he worked to the line good," said Azzopardi of DRONE who drew the outside barrier of 12. "It feels much better now that I’ve got that first winner out of the way." Azzopardi started his apprenticeship in Western Australia before transferring cross-country to ride in Victoria for six months. He then completed his apprenticeship with leading Perth trainer Adam Durrant, for whom he still rides today. After coming out of his time at the end of 2015, Azzopardi rode mainly for trainers David Harrison, Daniel and Ben Pearce, clocking in close to 380 winners in eight years of riding. The career highlights are two Group 3 wins in the 2017 WA Champion Fillies Stakes aboard ART SERIES and the 2018 Gimcrack Stakes aboard AGENT PIPPA. He also has 12 Listed race wins to his name. A third place aboard the Durrant-trained KIA ORA KOUTOU in the Group 1 Victoria Derby in 2015 remains a memorable achievement for the 23-year-old.